Numerous High Voltage Direct Current (HVDC) submarine cables have been installed in Europe and more are yet to come. Such transmission allows the trading of energy or the supply of isolated areas with almost no limitations on distance (typically 100-1000km). 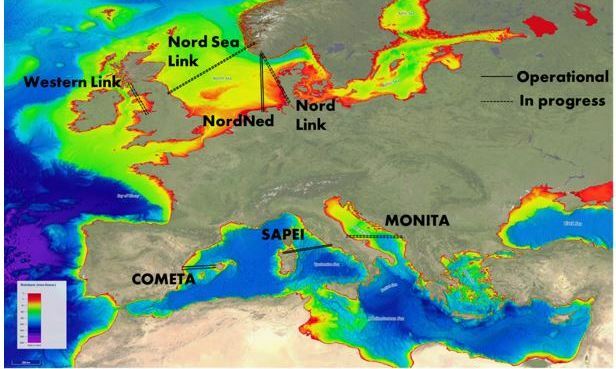 Interconnections such as NorNed and soon Nord Link and North Sea Link will provide a safe path for the large integration of renewable energies in northern Europe (Figure 1).